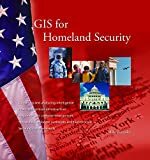 GIS for Homeland Security provides general overviews on how GIS is used for gathering and analyzing intelligence, protecting critical infrastructure, responding to complex emergencies, preparing for disease outbreaks and bioterrorism, securing complex events, and simulating disasters. A final chapter looks ahead at the growing role of GIS in homeland security. Each chapter includes three case studies that illuminate the topic with specific real-world examples. Key GIS players are profiled.